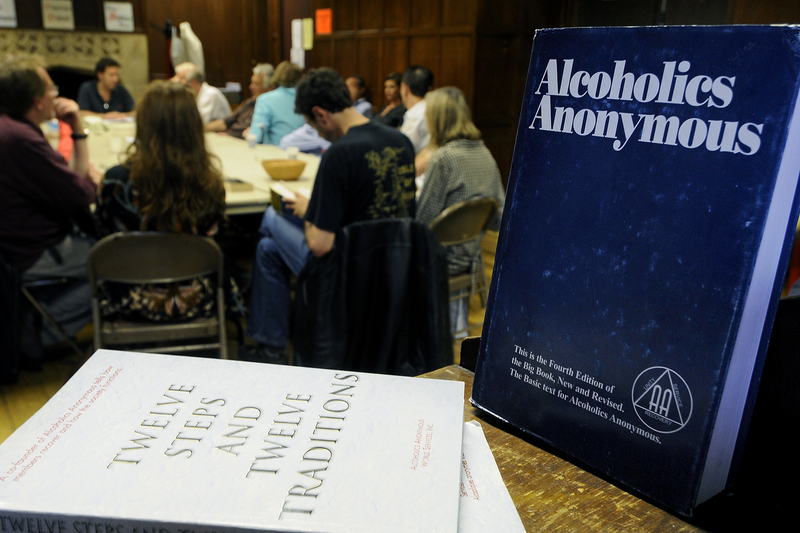 A journalistic piece entitled, “The Irrationality of Alcoholics Anonymous “, written by Gabrielle Glaser, also harshly criticizes Alcoholics Anonymous. AA and similar 12-step programs. “Glaser’s central claim is that there’s no rigorous scientific evidence that AA and other 12-step programs work. Glaser appears to lessen her argument by suggesting that AA is difficult to study (so how can she be so sure it is not effective then?). Equally there, in her world view, would also be no conclusive data to suggest if doesn’t work? So why make bold claims either way? According to (1), Glaser is simply ignoring a decade’s worth of science, not only here but throughout the piece. Kelly, alongside Dr. Marica Ferri and Dr. Keith Humphreys of Stanford, is currently at work updating the Cochrane Collaboration guidelines (he said they expect to publish their results in August). Dr. Lee Ann Kaskutas, a senior scientist at the Alcohol Research Group who has conducted TSF studies, suggest that TSF outperforms many alternatives. Although we cannot as yet say definitively what the final results will bring in the updated Cochrane Review, as it is still in progress, we are seeing positive results in favor of Twelve-Step Facilitation treatments that have emerged from the numerous NIH-sponsored randomized clinical trials completed since the original review published in 2006. We can confirm that TSF is an empirically-supported treatment, showing clinical efficacy, and is likely to result also in lowered health care costs relative to alternative treatments that do not link patients with these freely available recovery peer support services. Another emerging finding is that a central reason why TSF shows benefit is because it helps patients become actively involved with groups like AA and NA, which in turn, have been shown to enhance addiction recovery coping skills, confidence, and motivation, similar to professional interventions, but AA and NA are able to do this in the communities in which people live for free, and over the long-term. In other words, it will also help contradict Glaser’s arguments. “In an email and phone call, Glaser said that TSF programs are not the same thing as AA and the two can’t be compared. But this argument doesn’t quite hold up: For one thing, the Cochrane report she herself cites in her piece relied in part on a review of TSF studies, so it doesn’t make sense for TSF studies to be acceptable to her when they support her argument and unacceptable when they don’t. Simply put, “People who self-select to attend AA, or people who are randomized to a 12-step facilitation intervention, end up having people in their social network who are supportive of their abstinence,” she said. Reams of research show that social networks…are powerful drivers of behavior, so to Kaskutas — who noted that she is an atheist — the focus on AA’s quirks and spiritual undertones misses the point. In debating terms, you’re trying to shift the burden of proof to the other side. However she is rebutting the falsifiable claim that AA works, so in the absence of data, it’s perfectly acceptable to assume it doesn’t. That’s the default position. The rest of that data you present really has nothing to do with AA in isolation – for example, the perceived benefit has nothing to do with the AA program, and everything to do with social support mechanisms. I live in a country where while AA exists and is freely available, but the government also funds (through universal healthcare) facilitated groups which seem to have exactly the same social benefit, but lack the “cult like” elements many object to. There are also peer-support networks where the same benefit is observed. The advantages of these approaches as they are expanded as necessary across mental health treatment, and are not limited to addiction. The benefits observed are therefore not limited to AA meetings, they just happen to have a near monopoly – or certainly a hegemonic position – within the United States. Many researchers massively overstate the evidence in favor of AA. To say the Cochrane report will “reverse” their decision is an incredibly poor way of communicating the point. The initial conclusion was that more study was necessary. What they are likely to say now (by the sounds of it) is that going to an AA group can help some people, and it will not be a substantial percentage. This is a victory for common sense: of course AA helps some people, that’s not the point. There’s enough personal testimony for a reasonable person to assess this. However AA will never be the single answer a large number of people which attend. There will always be a much larger group of people with alcohol use disorder which require different, managed, approaches. Any holistic treatment for addiction which actually works will eventually have to include many different approaches in the toolbox, of which AA may be be included. The American treatment rehab-industrial complex is still over-reliant on AA, and guilty of a myopic approach to dealing with those who struggle with alcohol and other addictions. “There will always be a much larger group of people with alcohol use disorder which require different, managed, approaches. AA has worked for millions and continues to work via those who have recovered via AA passing on their experience of being helped by AA. Via one alcoholic helping another. That is how it works. Very few people in AA are too bothered about what science or journalists have to say, particularly about a subject matter they have little or no real life experience of. As one educational theorist once said the best way to ruin a good theory was to apply it to a classroom. It is similar in the world of recovery. We in AA know it works. We do not have to intellectually speculate on it or concoct theories about why it does so. Although some of us find this devilishly interesting! AA does what science and medicine has singularly failed to do and has done so for 80 years and will ride out most storms of public debate because it has traditions which keep it from this type of controversy. Alcoholism is a distressed based condition and controversial scientific debate may often be best left to those for whom it is merely intellectual. The article I have cited was obviously from another writer’s article and I agree some terms were not accurate such as “reversed” but it was a popular science article not meant to be purely academic. Nonetheless I will post some studies on the efficacy of AA next week so that you can see that there have been rigorous studies carried out on AA alone. One finding, for example, is that AA helps with impulsivity which is often cited in numerous studies as part of not only the pathomechanism of addiction but also in vulnerability to later addiction. It also exists in really long term recovery in alcoholics with many years of recovery. The author of the very original piece, Gabrielle Glaser who sparked a couple of blogs last week, does use her so-called null hypothesis in conjunction with strong claims that support the use of controlled drinking as a therapeutic tool and cites several studies to support her argument. I challenged this view by citing follow up studies of these studies which clearly show that the original findings were refuted by later data and analysis. Hence the claims for controlled drinking going back as far as the 1960s do not support controlled drinking as many researchers claim. This is a theoretical castle built on sand. One thing we can say is that science knows very little about recovery and spends most of it’s funding on the illness side and not on the recovery side. We can learn a great deal about an illness from it’s recovery. Science would benefit from studying “how it works” in terms of neuroscience and neuro psychology rather than attempting to find a chemical solution to a disorder of affect, motivation and stress regulation. The answers it needs may well be present in AA, the neural mechanisms of recovery, by that I mean what regions or networks of the brain “change” via behaviour based neuroplasticity, how is neurotransmission effected, stress chemicals reduced etc? What positive outcomes can recovering people expect – or rather what outcomes can we predict by taking a certain course of action – that is what science ought to be doing ? Then we could say we know about recovery, AA or otherwise. Until then we often see biased arguments. Rather than rushing to the next great scientific (chemical) discovery let us study what is proven to work not what we are speculating may work. First do no harm! Until then we are in the position of journalists, relatively new to the area of addiction, being elevated to expert status when this status is not deserved or earned. As for the hegemony of AA (or monopoly) I would suggest looking more closely at the cross fertilisation of recovery group membership as many recovering persons migrate between different and seemingly disparate recovery groups and regimes) e.g AA, SMART, SOS etc – check out some work by William White on this area. These groups range from secular to spiritual to groups supposedly based on science and neurobiological and psychological understandings of addiction. That may be due to these individuals finding different tools in different groups as well as common recovery principles. We need to look at all these recovery communities and work out why they work. These individuals do not find the “cult like” elements you seem to suggest exists. Cross fertilisation recovery group membership counters your argument somewhat. I do however agree that AA seems not to be for everyone. My father recovered via the Church and I know of others who have recovered via Buddhism and other techniques. Whatever works, works. We do appear to disagree on AA having to be part of a toolbox. For many over many years it has lead to many decades of recovery by itself so it makes no sense to say it needs to be supported by other therapeutic tools. However, many – some studies say up to 60% of AAs do have outside help such as psychotherapists, etc. Again some of what you mention is actually happening. We cannot know this awareness unless we study it properly with the aim of helping as many suffering people as possible. Until then, scaremongering via sensationalist and biased journalistic articles is probably not the right way to achieve this. So it’s not the program, it’s the social connections and their support? Why don’t the headlines present that aspect? That’s true journalism! You do care about that too? Look, many have success there. Lets be honest about why. And lets stop with thee court mandates that it must be that specific group, where compliance confirmation is a farce anyway. I have a friend who is bullied by meetings in his area. Admit that not all A.A. follows the steps very well. Allow interference in other issues like mental health and try to get that given over to God and groups, not to docs and meds. A.A., clean up your meetings!